The National Federation of Independent Business (NFIB) recognized PA House Majority Leader Mike Turzai yesterday with its 2010-11 Legislator of the Year award, the organization’s highest honor. The NFIB cited Turzai’s work on HB 1 – the so-called Fair Share Act – and other lawsuit reform efforts as the accomplishment they commended most. “Over the last two years, while many lawmakers were looking for taxes to raise and programs to expand, Mike Turzai organized a bipartisan group of lawmakers to stand against higher taxes and spending,” said NFIB state Leadership Council member Warren Hudak during a presentation ceremony as part of NFIB’s Small Business Day at the state Capitol event. Though not officially a partisan organization, the NFIB has strong ties to Republican legislators in PA and across the country. The group did not endorse a single Democrat in a contested election for PA House last year. 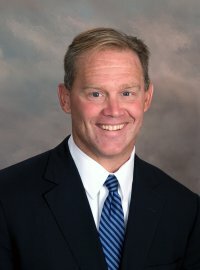 Mike Turzai is a strong proponent of tort reform because he knows how meritless (note I didn’t say FRIVOLOUS, which has a very limited legal definition) lawsuits affect business AND MEDICINE here in PA. Rep. Turzai has committed to getting valuable lawsuit abuse reforms like the Fair Share Act and the physician apology bill passed – but can’t do it without YOUR HELP. Please call your PA Senators and tell them you support the Fair Share Act and the Physician Apology bills which are currently in the Senate Judiciary Committee, and stay tuned for more legislation to repair Pennsylvania’s BADLY DYSFUNCTIONAL civil “justice” system which ultimately benefits no one but the lawyers.